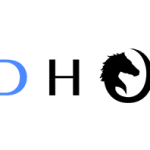 Founded in 2012, Lead Horse is an Atlanta digital agency seized an opportunity to start a digital marketing agency for growing companies and savvy start-ups. Our background in the big agency world helped us realize that there are three things top agencies consistently get right; sophisticated technology, expert management, and exceptional service. Lead Horse has world-class technology that solves your most complex measurement challenges. Do you want the ability to track digital marketing ROI at the most granular level? We close the sales loop and measure your entire business pie. Our team has managed millions in ad spend for the most recognizable brands, delivering an exceptional ROI. We are certified partners with Google and Bing. Wouldn’t you sleep better at night knowing that experts are running your campaigns? Lead Horse will put you at the front of your competitors. We pride ourselves on forming strategic partnerships with clients. Lead Horse is not merely another vendor, but an extension of your team. Do you want to align your business with an agency that will be around for the long-haul? If so, Lead Horse is your answer. The bottom line is that Lead Horse gives your business the technology, expertise, and service you need to grow profitably online. Lane and his team are superb. As a small business, we had a specific budget and goals, and Lead Horse was able to develop a cost-effective plan that generated real ROI for us. I reached out to Lead Horse about a few website design projects optimized for lead generation and gave them a very short deadline in order to complete the projects. They were always able to deliver earlier than expected with extremely impressive layouts for what we were trying to accomplish. We will continue to use Lead Horse at every opportunity possible. Fantastic digital agency that works hard to both understand their client's business goals and execute advanced advertising strategies to deliver on those goals. I would recommend working with LeadHorse to anybody as their depth of knowledge and client experience is second to none. Contact Lead Horse Marketing directly!